If you could only taste these now. WOW! They are so good. Every once in a while I will get a craving for doughnuts. This was one of those days. Plus I promised my grandchildren I would make them some. One in the same to me. It just legitimizes the fact that I had to make them. I don’t understand why everyone thinks they are so hard to make. The opposite is true. They are just a bit time consuming because you have to wait for them to rise. Once they have risen a second time your more then half way there. Trust me they are so worth it. 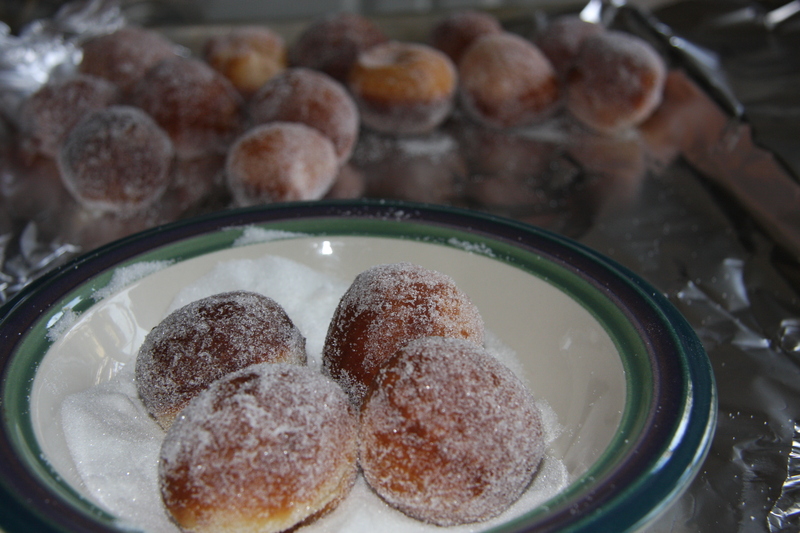 There is nothing like homemade doughnuts. Hope you will try these. 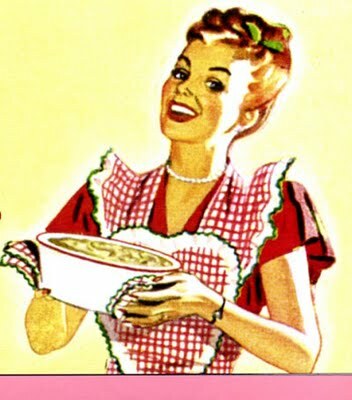 Into a larger bowl, like one for your stand mixer add 5 cups of flour, 2 tablespoons yeast, 1 teaspoon salt and 1/2 cup sugar. 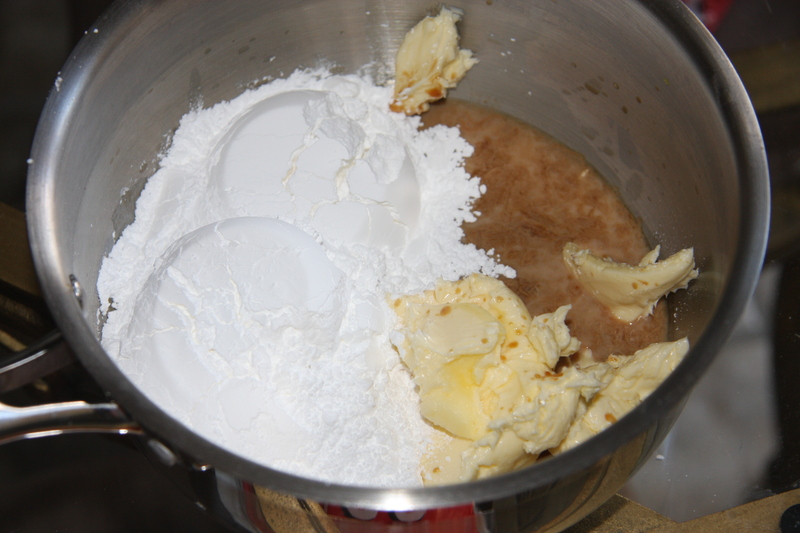 Mix with the paddle attachment on the mixer until the dry ingredients are combined. 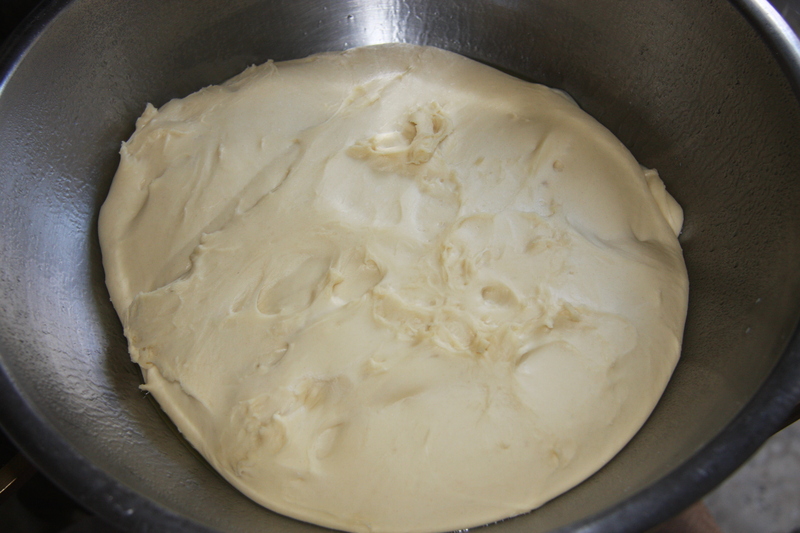 Next, change to the dough hook of the mixer and add 1-3/4 cups of milk, 2 eggs and 1/3 cup melted butter, I also continued to add another 3/4 cups of flour, during the kneading process. 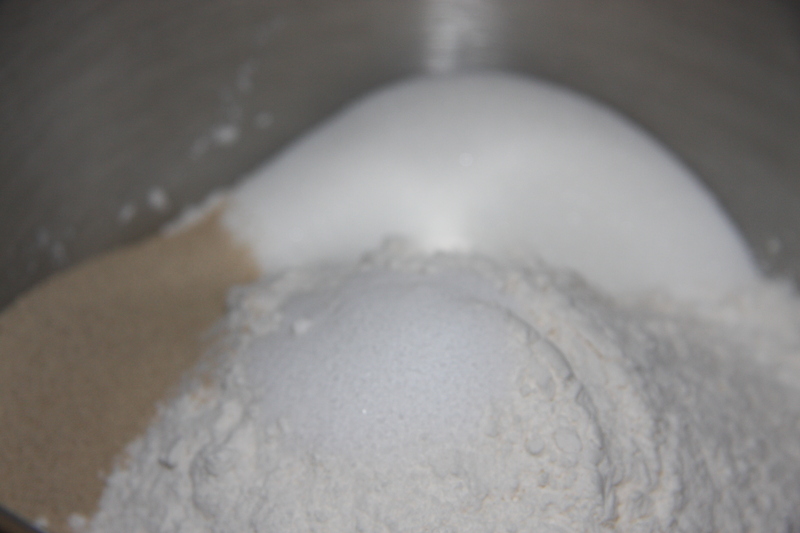 If the dough looks really wet, you will need to add a little extra flour. Knead for 10 minutes. 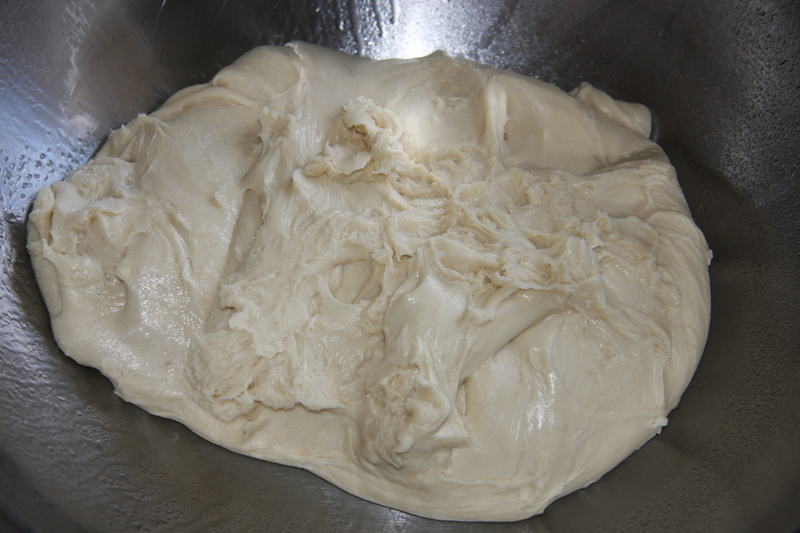 This is what the dough will look like. Place it into a large oiled bowl. 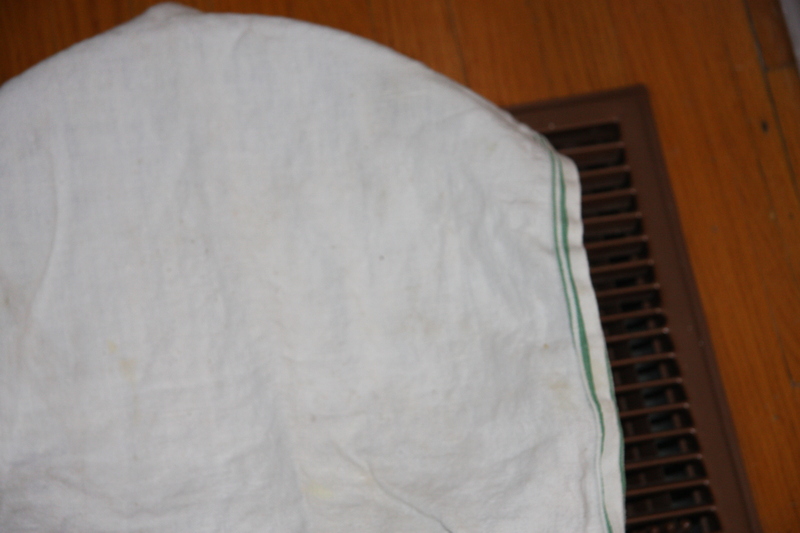 Cover it with a dish towel and place in a warm place for 1 hour or until it has doubled in size. If you look at the picture I have placed my bowl next to the heat register. After 1 hour it should look like this. 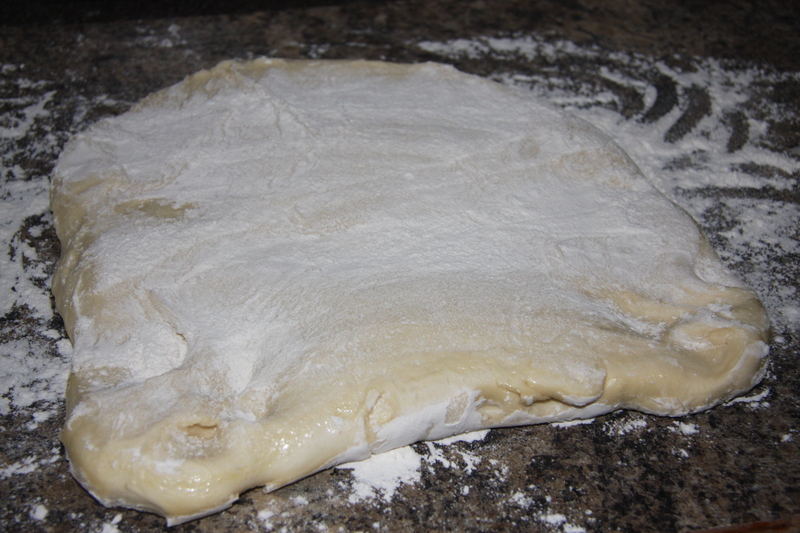 Onto a floured surface, roll out the dough to 1/2 inch thickness. Sometimes I make it just a tiny bit thicker. Start to cut with a cookie cutter. 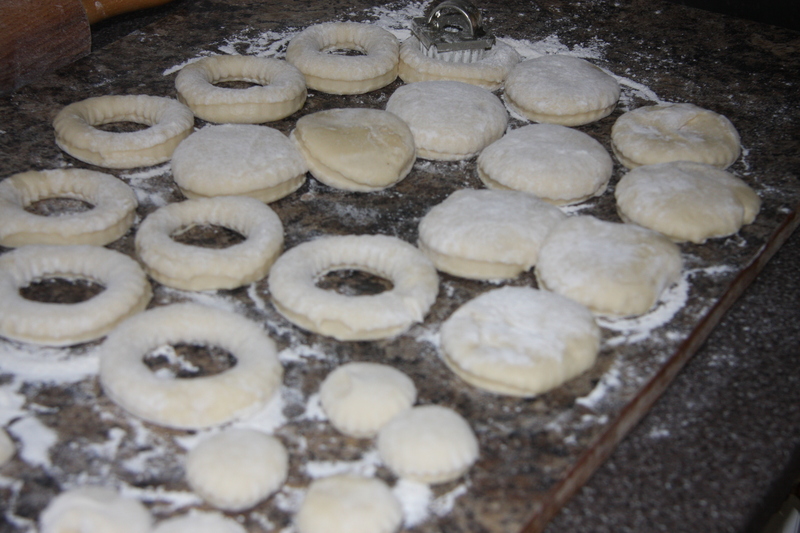 When you have cut them take a smaller cutter and cut out the middle and you now have little doughnut holes. 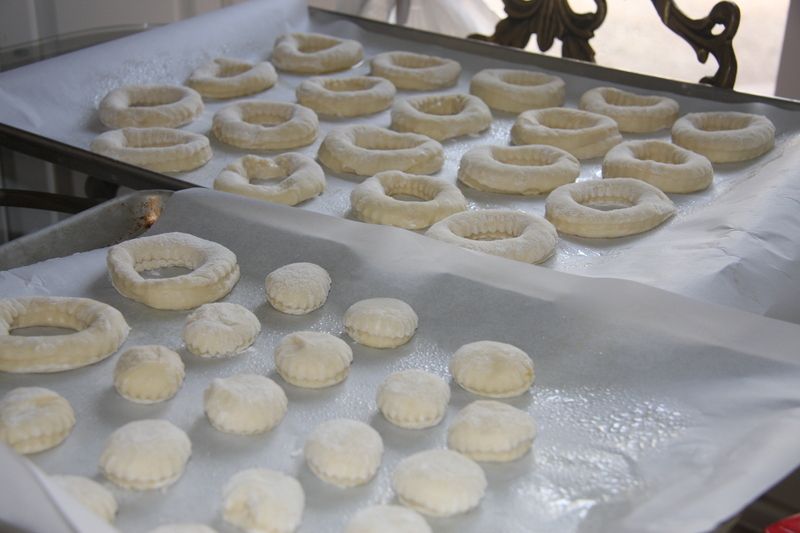 Place all of the doughnuts and holes onto oiled and parchment lined pans. Cover the pans with dishtowels again. 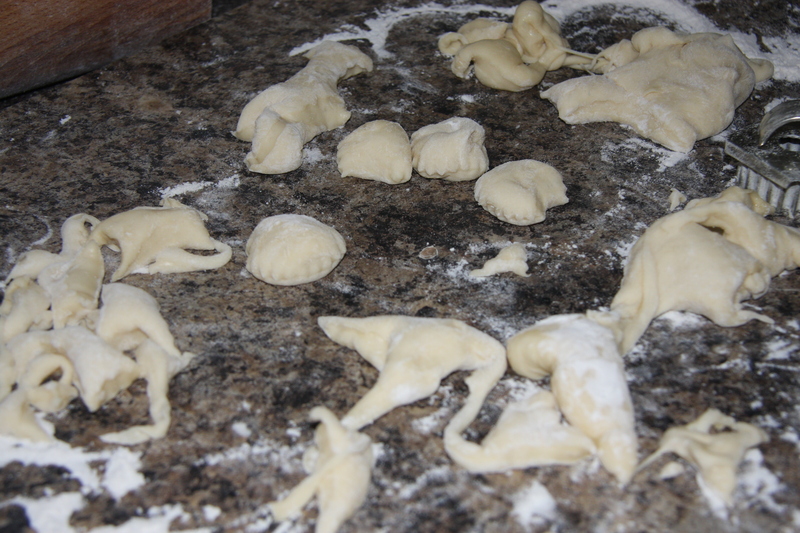 Let rise until they have doubled in size, approximately 1 hour. I also save the ragged pieces and treat them as the rest of the doughnuts. You could bunch them up and roll out again but I find that the doughnuts won’t be as light if you do. Doesn’t matter what shape they are, they still taste great! Into a stockpot add 3-4 inches of oil and heat to approximately 300- 350 degrees. Add only a few doughnuts at a time. Fry until they are golden in color. 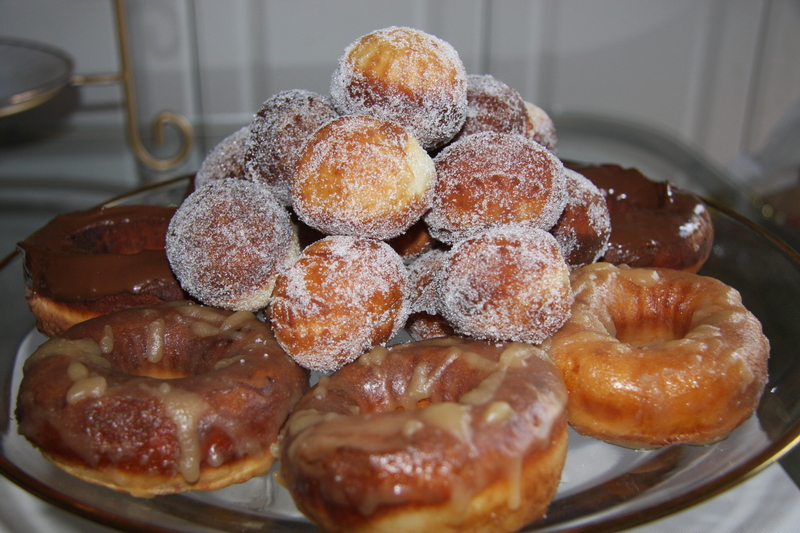 Place the doughnuts onto paper towels to drain off some of the oil While they are still warm you can take which ever ones you like and roll them around in sugar. Or dip them in a glaze. 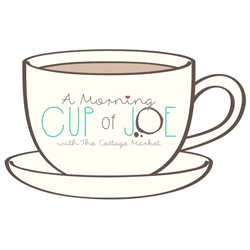 Of 1/4 cup of butter, 5 tablespoons milk, 2 cups powdered sugar and 2 teaspoons of vanilla. Over a medium heat combine all the ingredients together. If it’s too thin, add more powdered sugar. If too thick, add more milk, one teaspoon at a time. 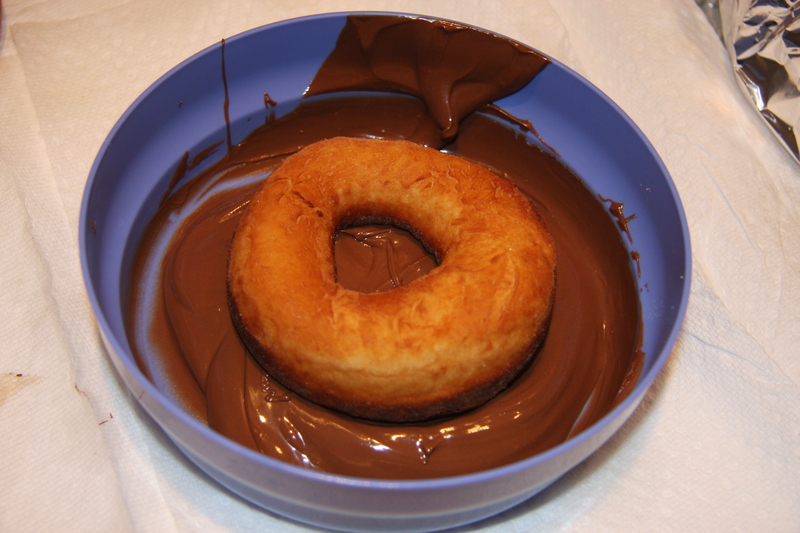 Or dip some into melted Nutella. These are awesome! But then I’m partial to chocolate and I eat Nutella with a spoon. 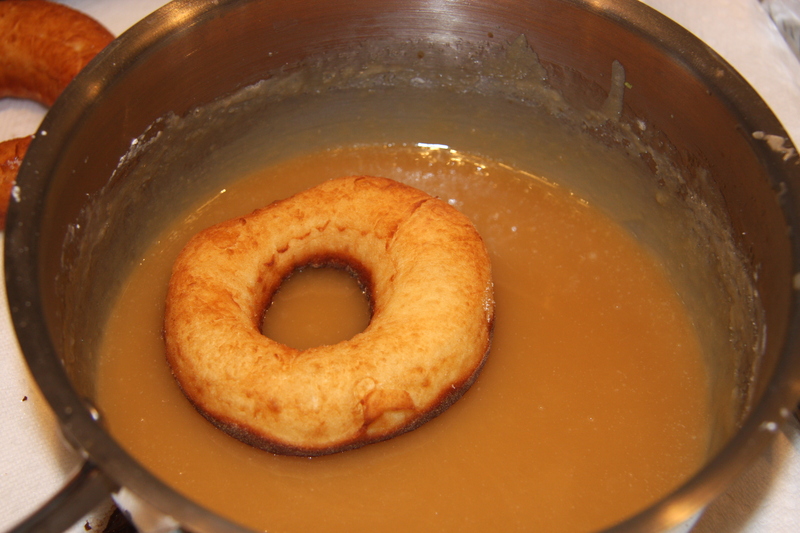 Or you can also dip them into a butter glaze. I start to place all of these onto a parchment lined pan. Then when your ready to serve, place them onto a serving dish. I mean really can you see these on a dessert table or just as a center piece just before you serve coffee or tea? You won’t have any left. RECIPE INGREDIENTS 2 Tablespoons Of Dry Yeast 1-3/4 Cups Of Milk At Room Temperature, Can Substitute Chocolate Milk 1/2 Cup Sugar 1 Teaspoon Salt 2 Eggs 1/3 Cup Butter 5 Cups All-Purpose Flour, Plus 3/4 Cup While Mixing GLAZE 1/4 Cup Butter 5 Tablespoons Butter 2 Cups Powdered Sugar 2 Teaspoons Vanilla CHOCOLATE TOPPING 1 Cup Melted Nutella SUGAR TOPPING 2 Cups Granulated Sugar PREPARATION Place yeast into the warm water and let it sit for 10 minutes. 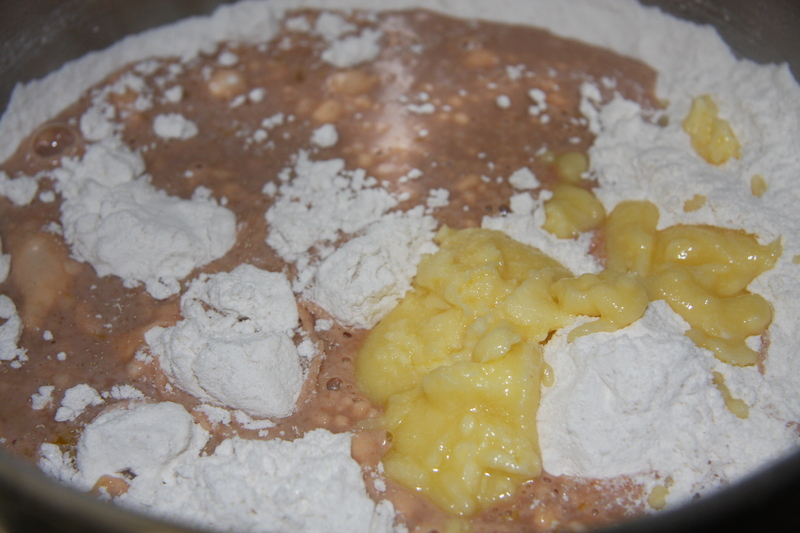 Mix milk, sugar, salt, eggs, butter, yeast mixture and 2 cups of flour in a stand mixture. When this has combined add remaining flour, 1/2-1 cup at a time, until a nice soft dough has formed. Knead with the dough hook for 10 minutes. Place into an oiled bowl, cover and let rise for 1 hour. 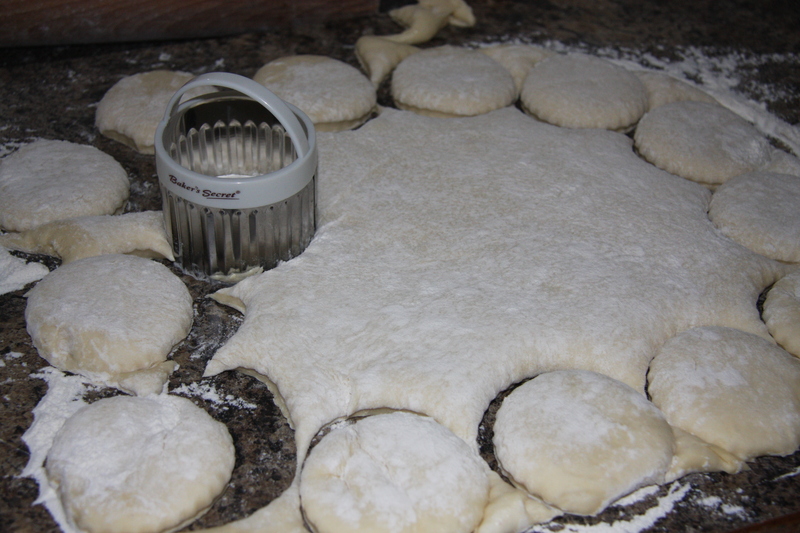 Turn dough onto a floured work surface roll out to 1/2 inch thickness. Cut the dough with a larger cookie cutter, then one slightly smaller. Place the raw doughnuts onto oiled parchment paper on a cookie sheet. 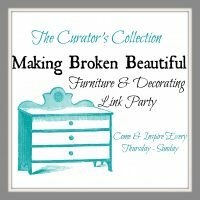 Save your ragged pieces too. No need to waste them, they are also tasty. Cover and let rise for another hour. Heat oil in a stockpot to 300-350 degrees. 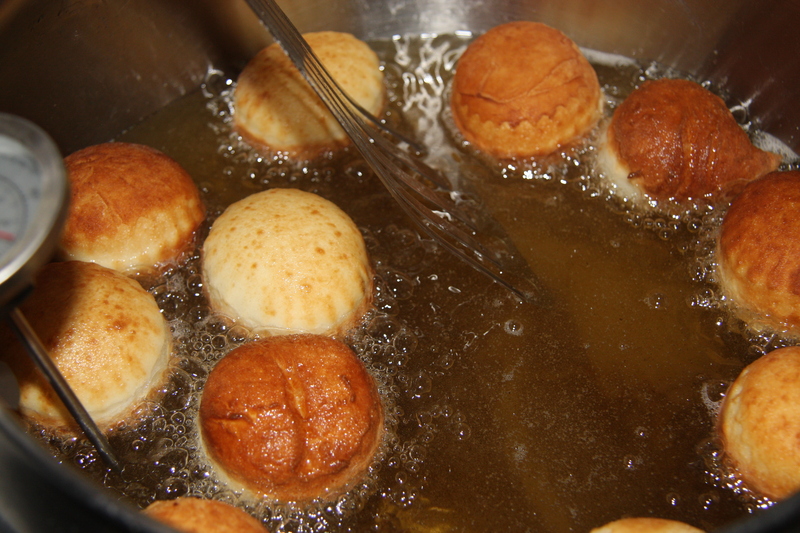 Sliding the doughnuts into the oil, turning them as they turn a golden color. 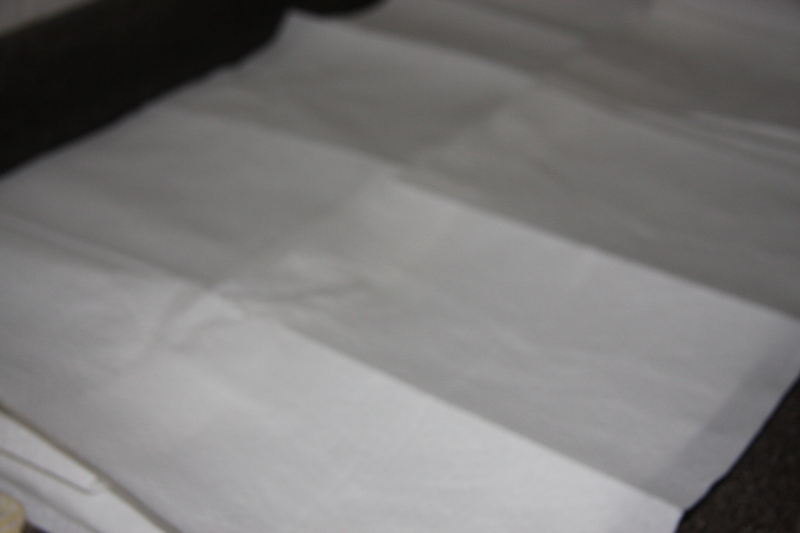 Drain on paper towels. 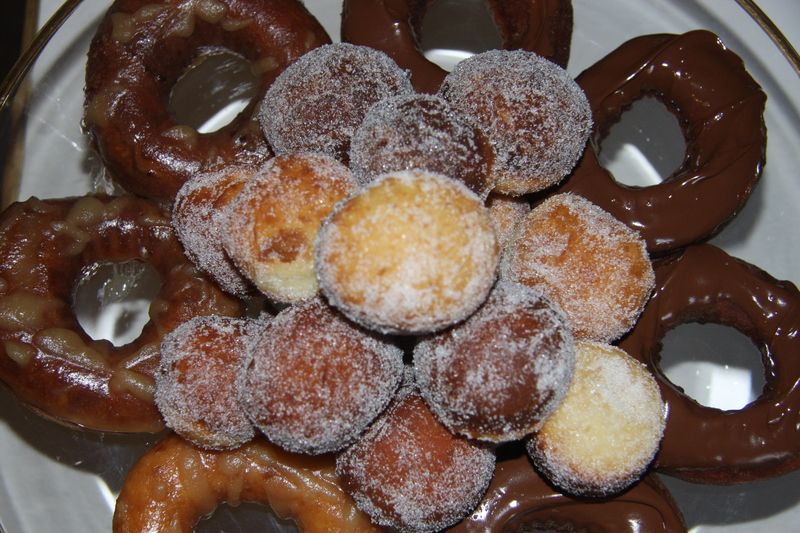 Top with glaze, Nutella or sugar. Place on a serving dish, if they make it that far. ENJOY!